It was on this day, in December, three years ago that Rohith Vemula wrote a letter to the University of Hyderabad's Vice-Chancellor requesting 'euthanasia' for students like him. A month later, he hung himself to death. The picture of Rohith Vemula walking out of his hostel room with his bags holding a giant portrait of Ambedkar has become near-iconic, as a symbol, to the Dalit movement. Rohith's family had no idea his suspension had been confirmed that day, they had no idea about the fight he had put up and they had no idea that he would contemplate suicide, let alone commit it. But it took them no time to make Rohith's dream their own. His dream for an equal society. They took a vow that day to stand by those fighting for their rights because nobody had stood by Rohith. 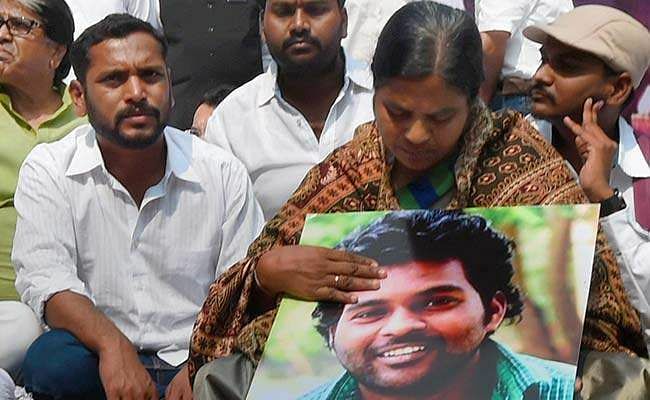 If you have any interest in student politics, you wouldn't have failed to see Radhika and Raja Vemula, Rohith's mother and brother, at almost every student protest. Even when we tried to get in touch with Raja Vemula to speak with him, he requested that we call later that evening because he and his mother were at the TISS protest in Hyderabad. "There's no one to stand up for them, no political leader, no one from the administration. So we are here, we want to show them that we are here for them," Raja said. 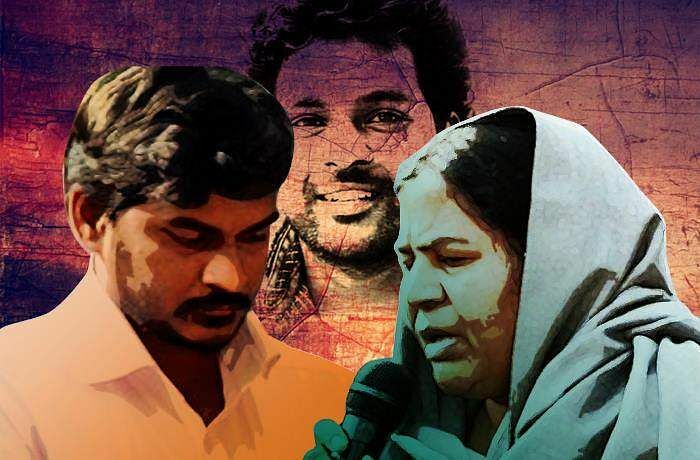 Like we mentioned earlier, Raja and Radhika amma, as she is lovingly called, say they were completely unaware about what was happening in Rohith's life. He didn't want to tell them because they were going through hard times already. So when it happened, Radhika amma went into complete shock. She had a million questions and no answers, Raja says. "My mother got married when she was 14, she didn't really receive an education. She became a single mother when she was 19 and since then she has only had one aim in life — to get her children an education," Raja said. So that's what she did. She was happy that her children were studying but other than that she apparently knew very little about their lives, "She had faced caste discrimination and faced several other problems in her life but felt that the solution for everything was getting an education. She didn't know it was something that existed in campuses though, and that her children would also suffer from it," Raja added. The first day she set foot in a University was the day her son took his own life. After that, she took it upon herself to become aware of what had killed him. She began to learn about the man who was her son's idol, Babasaheb Ambedkar. Since then, in a couple of years, she has become a symbol of hope for students all over the country. "I'm fortunate to be born to her. She grew up knowing nothing and now she's faced lathi charges, she's been attacked, all sorts of things have happened but she never hesitates to come out to the streets and stand up for what is right. She is my inspiration," Raja said. But the little-known fact is that Raja's sister was the one who urged Raja and his mother to take the lead and fight with the students. She is not as common a face as the rest of her family but Raja tells me she was the first one to voice her feelings. "We don't have any other family. It's just us, so we've devoted ourselves to this fight. We have no one to lose, but ourselves," he said. The mother and son have been a part of numerous meetings and have succeeded in bringing together students from across the country, "This movement has brought together Ambedkarites, several communists and Muslims together. So we're happy that that has happened. We know that change is coming. Rohith Vemula did not stand for any elections but his name is known in villages across Telangana. He has become a symbol of unity and the anti-caste movement," he said. In the last three years, several student protests have rocked campuses country-wide. In many ways, Rohith's case brought student politics back to campuses and encouraged students to demand their rights. Raja explains, "After my brother died, there was a nationwide student movement, probably one of the biggest ever. It was like a third wave for the Dalit movement. With Rohith Vemula, the evolution has started. Everything from education to politics is set to change. Our lives are going to change." 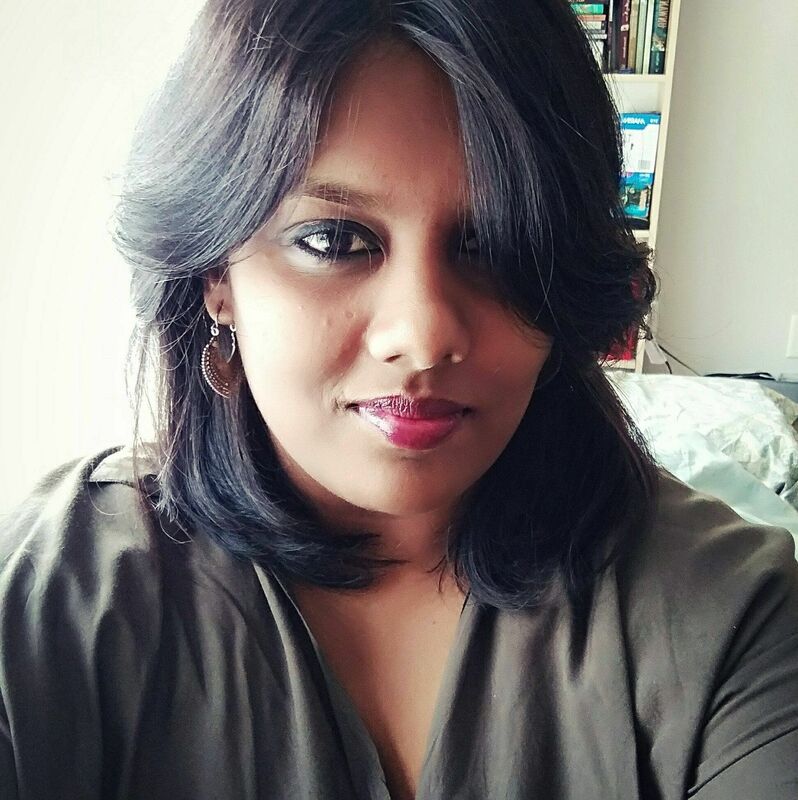 Even with the TISS protests, it was the students who reached out to the Vemula family for support, "I was following the protests and was anyway thinking of lending our support. But then they reached out to us and asked if Radhika amma could support them. My mother was in our village in Guntur when I got the call. When I told her about it, she immediately left to come to Hyderabad. She never thinks twice when students reach out to her. She wants to do everything in her capacity to be the support Rohith anna never had. Her son isn't going to come back if she does this but she does it anyway," he tells us. The duo is currently supporting an initiative to set up an autonomous body that will deal with student issues. "No political figure comes forward to help these students. It doesn't become a subject of discussion in the parliament. Students are forced to go on hunger strikes for days before somebody decides to listen, sometimes that doesn't even happen. There should be a body that will address these issues and question the administration. There has to be a platform where students can put forward their grievances," he explained. The path to justice is long and winding, but Raja and Radhika amma are not deterred, Raja says, "Rohith has made us mentally strong to take on these issues. He showed us a path, this is what he wanted us to do and we're just fulfilling his dream. He dreamt of so many things, it all cannot be done overnight. But he showed us what to fight for and we'll fight for it till the day we die." Where has the justice gone? To this day, Rohith Vemula's case remains stagnant because the authorities are still trying to prove that he isn't from one of the scheduled castes. "They've been stuck on the same thing for the last three years. There is no document to prove that we are not SC and yet they will not give up on that. Until now, so many students who supported Rohith have been issued summons but what about the cases that we have registered against the administration? No one cares about them," Raja asks. "After all, it is like asking for justice from the killers themselves. So I guess we cannot expect any justice," he adds. When Rohith passed away, a number of politicians fluttered to the doorsteps of his home. Raja was even promised jobs. But he refused. Instead, he bought an auto and started driving it, "I had BR Ambedkar and 'Jai Bhim' written it on. I guess that's why I was never able to make too much money," Raja says smiling. So he returned the auto and is now a daily wage earner. He is also pursuing his second year of law. "I'm very happy with my job. If I had accepted the jobs the politicians were offering me I would have felt obliged to bow down to their demands. That is not something I can afford to do," he said. Law is not something he always wanted to do though, Raja was a man of science. Just like his brother. "I wanted to become a scientist, a geologist," he said. After what had happened to Rohith, Radhika amma was very worried about Raja succumbing to pressures of the University, so he decided to drop out of the course and instead pursue law. "I don't know if I can actually do anything or if I will be able to bring about a change," Raja says, "But I want to be part of the movement nevertheless." But why law? Raja is of the opinion that there are three ways in which we can bring about a change — legislature, administration and judiciary. He feels that they cannot expect any change from the legislature or the administration anymore but he thinks there is still hope for the judiciary. "Not many of our people are lawyers and even if there are a few, there is no fraternity that exists. I think there is a dire need for fraternity among the lawyers or there will be no one to fight for us," he said.